One of the things that excites me most about summer (well, besides the sunshine, bank holidays and bbqs), is the nail polish possibilities. Don't get me wrong, I love A/W berry shades, navy palettes and wintry mauves, but there is just something so alluring about summer nails. They scream fun and sunshine; be it perfect pastel shades, fluoro brights or going all-out and donning your nails with summery nail art, you have to admit it; summer nails rock. I've been on the hunt for new summer shades to add to my ever-expanding polish collection, and when I saw the new Barry M Gelly Nail Paints in store I couldn't help but swoon over Grapefruit; a deliciously vivid coral-pink. The new Gelly paints are fab because they are seriously high-shine, making your nails look like they came straight from the salon. I've never actually had the luxury of trying out gel nails and the like, so these Gelly effect babies are a great substitute for me. Okay, so they don't last like gel nails, but they have that same gorgeous shine that make your nails look super sophisticated. I'm in love with this shade and think it will look amazing with a tan when summer decides to show its beautiful sunny face. Like all Barry M Nail Paints, it is really opague, doesn't take long to dry and lasts a fair while before chipping. I love it. Have you tried any of Barry M's Gelly Nail Paints? 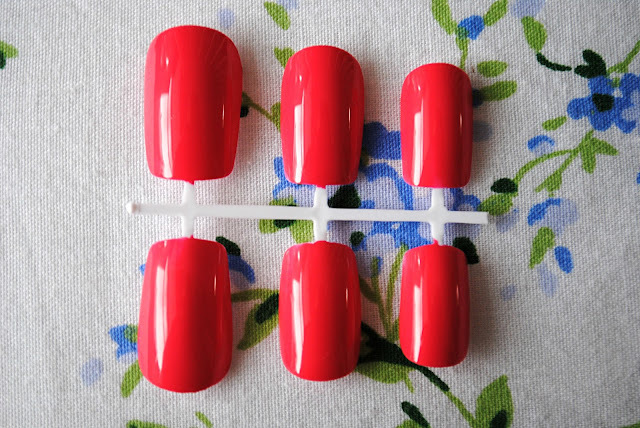 Are you looking forward to embracing summery nails?